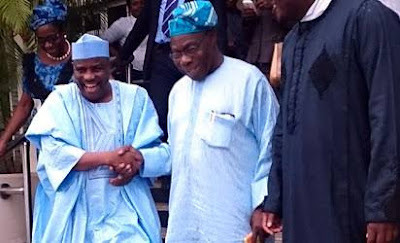 Sokoto State governor and presidential aspirants on the platform of the Peoples Democratic Party (PDP), Aminu Tambuwal, held a closed-door meeting with a former President, Chief Olusegun Obasanjo, PhD, yesterday. He arrived the Abeokuta residence of the former president located within the Olusegun Obasanjo Presidential Library complex at exactly 7:39pm. It is believed that the meeting is connected with his quest to clinch the PDP presidential ticket.